Minnesota (MN) gets its share of extreme weather, especially in the winter. Every house in the state needs good insulation, installed by people that know what they’re doing. At Century Insulation we’ve got you covered, especially when it comes to spray foam insulation. Spray foam insulation is not just a Minnesota thing, it is an effective insulation method for smaller parts of the house that are tough to reach, in any area where houses need protection from the weather. Usually, it is used to insulate attics or crawl spaces. Why leave it to the insulation contractors? Spray foam insulation specifically, needs to be installed by professional licensed contractors. The material used during the installation can be harmful to anyone while the spray foam is drying. In addition to having years of experience with spray foam, our insulation team wears proper protective gear and takes all the necessary precautions during the installation process. Spray Foam Insulation in Saint Paul MN | Why spray foam insulation? We perform inspections to ensure that the insulation brings you all these benefits. If any leaks or anomalies are found, we address them effectively. Spray Foam Insulation Andover MN | Call Us for a Quote! Contact us today about spray foam insulation in Andover MN! We’ll be glad to give you an estimate for your project. We are a preferred contractor for Xcel Energy and Centerpoint Energy. 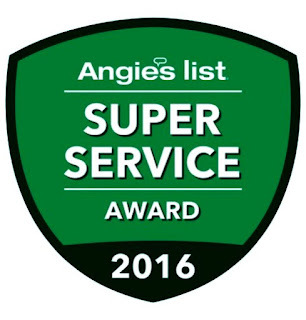 We are also BPI certified we are on Angie’s List! Whether you are interested in fiberglass, cellulose, or spray foam insulation, you can find professional insulator contractors at Century Insulation that you can trust for your spray foam insulation Andover MN. Give us a call at 763-270-8765 or email info@centuryinsulation.com for further questions. Crawl Space Insulation New Brighton MN | Does Your Flooring Always Feel Cold? Click Here To Learn About CenterPoint Energy’s Air Sealing & Insulation Rebate Program!